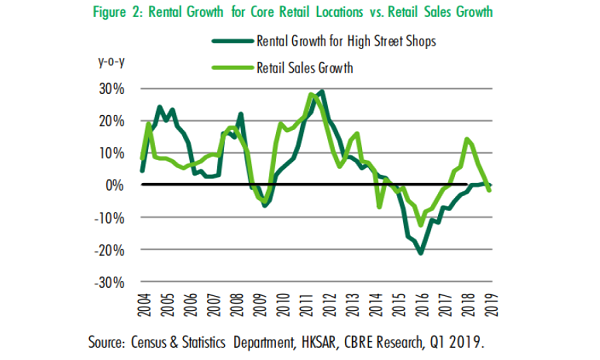 Hong Kong’s retail sector closed the year on subdued footing after sales inched up by a measly 0.1% to $44.9b in December as buyers hold back on their purchases against the dismal economic backdrop, data from the Census & Statistics department. The latest reading marks the sixth straight month of single-digit expansion after a heated double-digit growth rally which can be traced back to February. It also represents the slowest pace of growth in 18 months. 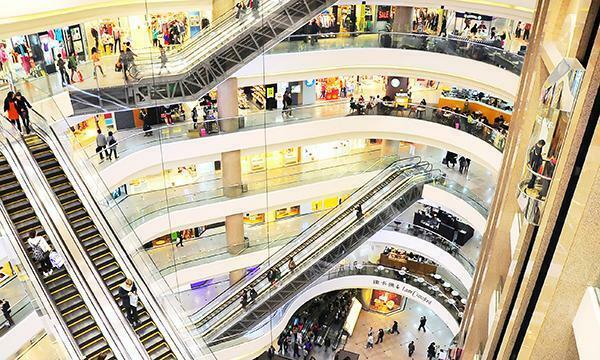 “[R]etail sales performance would continue to be affected by the cautious consumption sentiment amidst moderating global economic growth and the uncertainty stemming from the US-Mainland tensions in the near term,” a government spokesperson said in a statement. The weak yuan and the slumping stock market may have also played its part in dampening buying activity in Hong Kong as it dampens the attractiveness of Hong Kong goods to Mainland shoppers. “The performance of the Hang Seng Index has a strong positive correlation of approximately 0.6 with Hong Kong’s private consumption growth over the past three decades,” Fitch Solutions said in an earlier report. 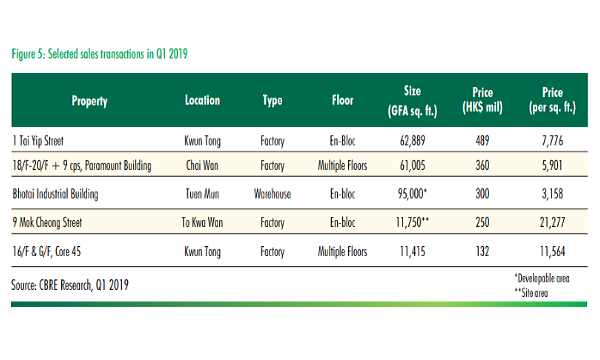 What once constituted were the bright spots in Hong Kong’s retail sector, jewellery, watches, clocks and valuable gifts sales saw one of the largest declines in December of 4.9%. Sales of electrical goods and wearing apparel also fell by 15.2% and 0.3% respectively. 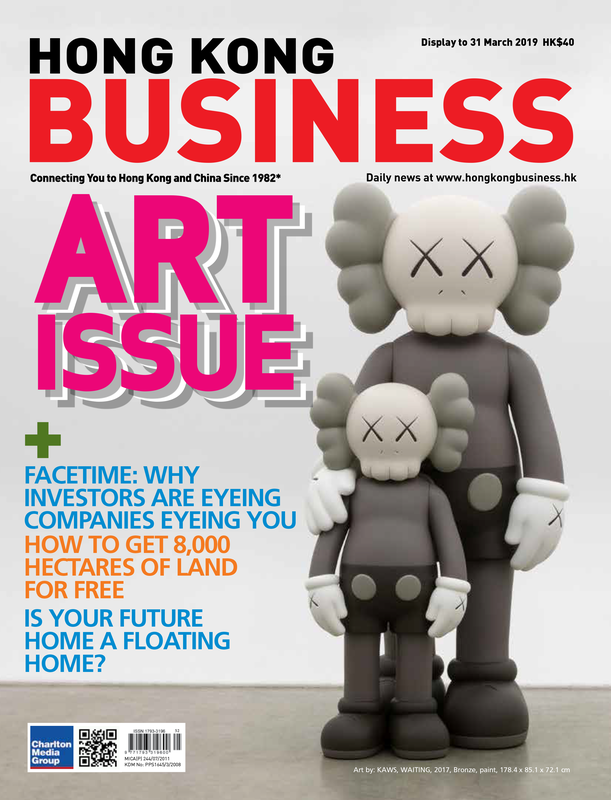 Also read: Will Hong Kong's shopping boom meet another devastating end? On the other hand, sales of Chinese drugs and herbs were able to eke out double-digit growth of 10.5% in December followed by motor vehicles and parts (8.9%). Sales of medicines and cosmetics; books, newspapers, stationery and gifts; optical shops; footwear, allied products and other clothing accessories; and rose by 6.9%, 6.7%, 6,2% and 5.8% respectively. For the full-year 2018, retail sales rose 8.8% in value and 7.6% in volume to $485.2b. The annual sales figure is slightly above PwC's target of $484b as the sector's stellar performance in the first half of the year, buoyed by a revival in inbound tourism, propped up the slowing second half.